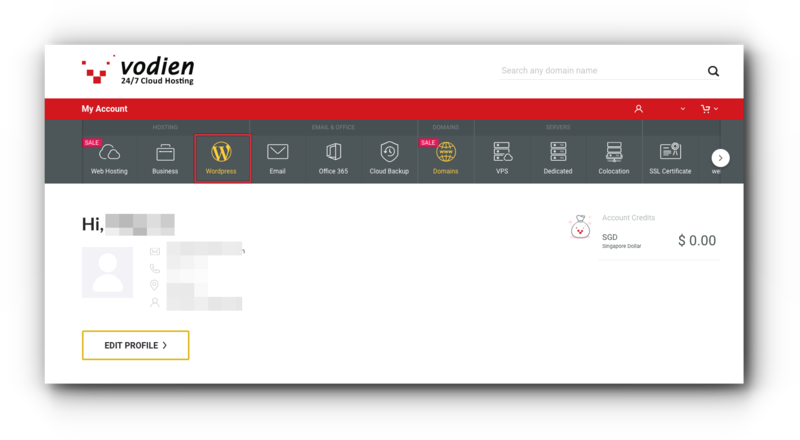 Follow the instructions below on how you can change the Primary Domain Name of your WordPress Site. Step 3. 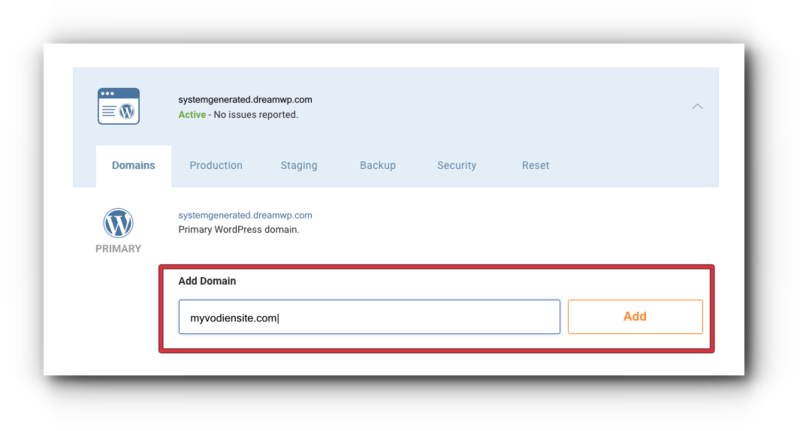 Click on the drop-down arrow of the WordPress Site you want to modify. Step 4. 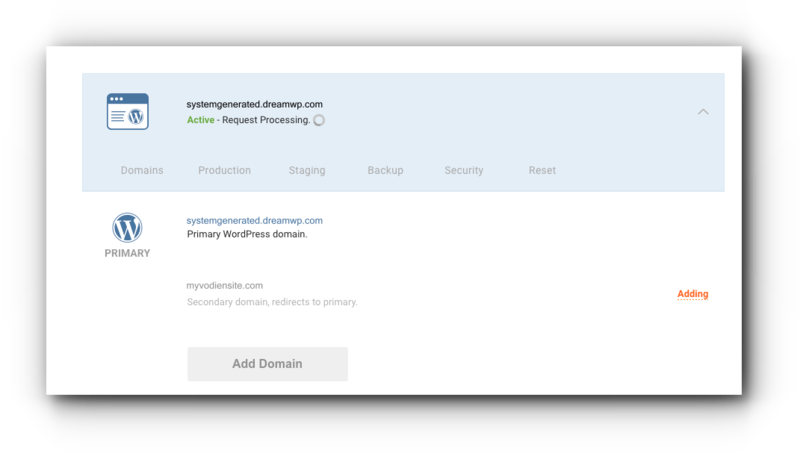 If you have added a domain already, proceed to Step 6. If you have not added yet, click Add Domain. Step 5. 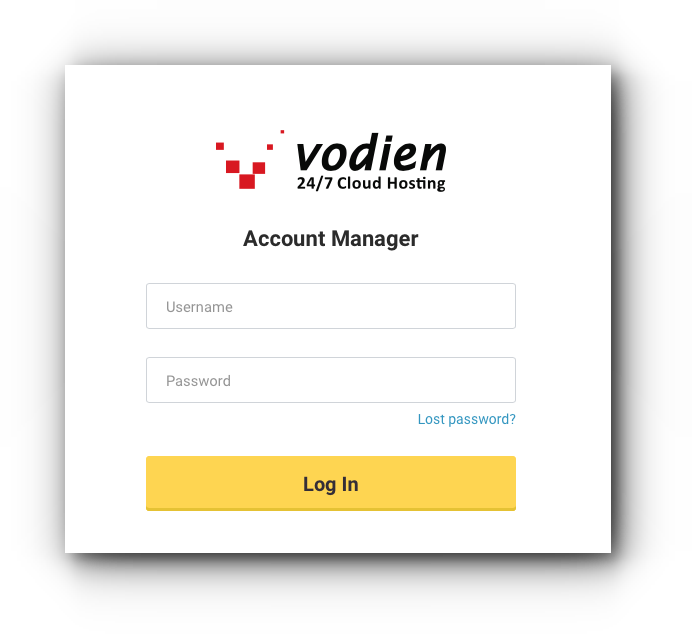 Enter the domain name and click Add. Domain name will be added. Step 6. 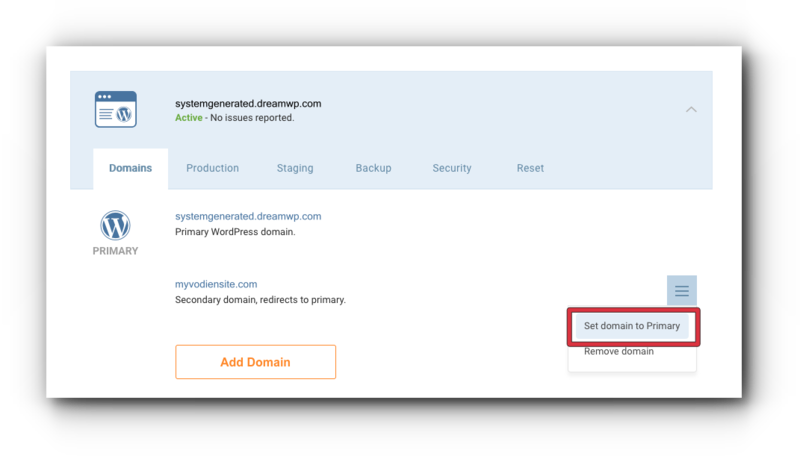 Click on the menu next to the domain name and select “Set domain to Primary”. 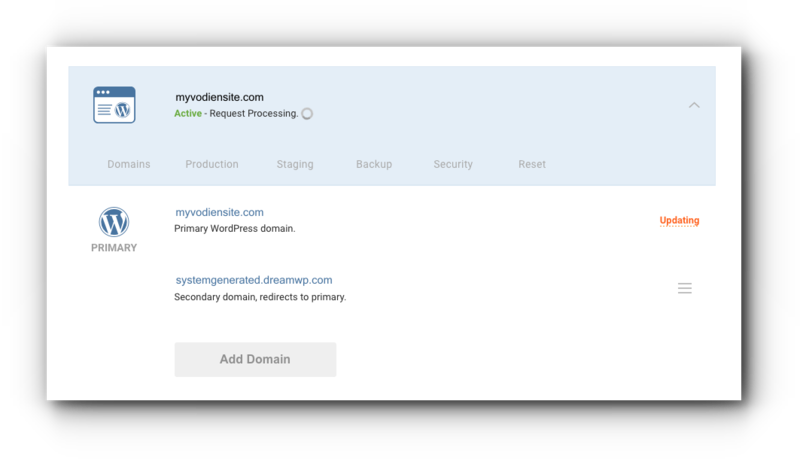 Primary Domain will be changed in a few minutes. 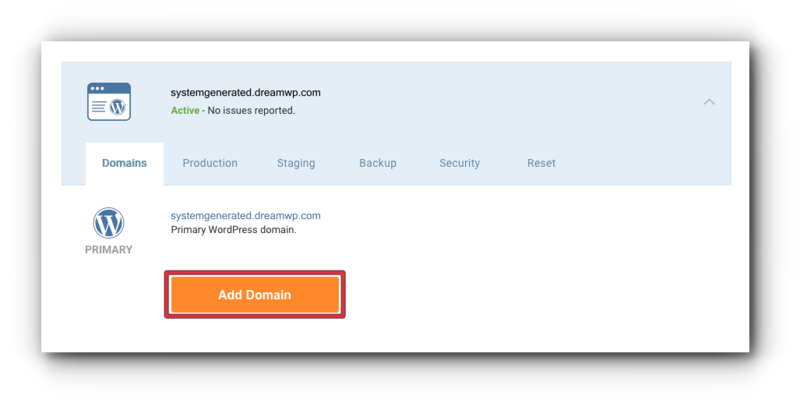 Note: In order for you to connect your domain name to your WordPress site, you need to update the DNS of your domain name to the WordPress IP address.